I know, it’s not exactly raincoat weather right now. 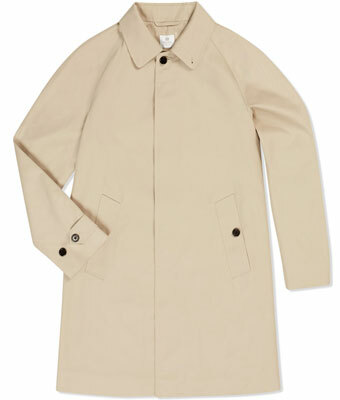 But soon it will be and you might want to check out something as classic as this newly-launched Sunspel Mac. 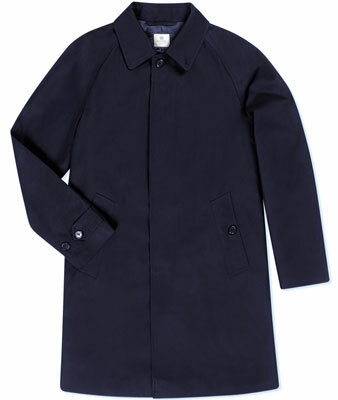 It’s a raincoat right out of the 1960s, made ‘by the world’s oldest waterproof fabric manufacturer’ and not a million miles from the Mackintosh Dunoon, it is made of a cotton that has been showerproofed with a non-absorbent finish and detailed with a raglan sleeve construction, concealed placket and buttoned rear vent. Three colours available, two of which are pictured here. Not cheap though, selling for £580. If you want something more affordable in a similar style, check out the Harry Palmer-style raincoat from Jump The Gun.